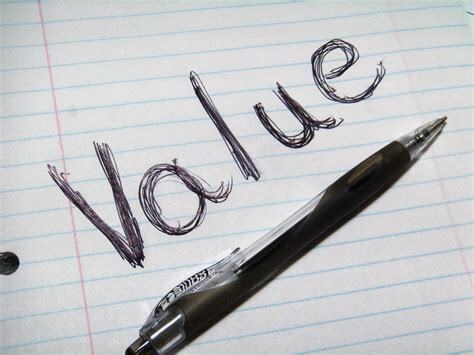 Customer value - are your customers feeling the value? Customer value: are your customer’s feeling it? Home > Uncategorized > Customer value: are your customer’s feeling it? Customer value isn’t about a weighing up of costs and benefits: it’s emotional. If you want your customers to keep coming back, they should feel good about their purchases, about you, about the price and about the whole experience. Customer value comes in many forms. For some its all about making or saving money, for others it might be connected to time savings, risk, convenience or a whole range of emotions from relieving pain, anxiety and stress to bringing joy, pride, status, hope and excitement. It might be direct and obvious – or might just help them achieve deeper personal or commercial goals. It isn’t just about specific features and benefits – its about what value these features and benefits can unlock for different customers. Here’s how you can get your customers feeling the value. Most products and services have minimal intrinsic value. This might sound harsh, but stay with me: its just that most offerings are really a means to an end – with the real value coming one or two layers below the surface need. Focusing the customer on this end value unlocks their emotions, so they focus on this rather than price or other problems. They can feel the value – and they want it. It minimises price resistance. It gets them justifying the purchase to themselves rather than talking themselves out of the purchase. The most basic approach is to ask why: why do they want the car? The holiday? The deal? But using the ‘why’ word doesn’t quite work: it can sound negative or accusatorial. Instead, here are a few alternative approaches to get the customer talking about, and focusing their emotions on, what really matters. • What’s the bigger picture, here? • What would this mean to you personally? • How does this fit into your broader plans? • What are you really trying to achieve here? • What impact would success have on you’re your business? Now you know where the real value is for your customers, keep them focused on that value through the language you use. If they are focused on saving time, use time-based language such as ‘quick’, ‘efficient’ and ‘time’. If they are focused on reducing stress, talk about ‘relaxing’ and ‘confidence’. Talk about their personal dreams, fears and business objectives. Don’t get dragged back into talking about price and practicalities: keep them focused on the big picture. The above approach is likely to take some of your team away from their technical or professional safety zone. They pride themselves on their mastery of practical details and product knowledge – and so that’s what they focus on. But its not where the customer value is. Train your team to talk to customers on an emotional level without feeling uncomfortable or self-conscious. They won’t just make the sale, they’ll have the customer feeling good about the sale – and that’s what keeps them coming back.